Sales of 8K televisions have failed to live up to expectations with just 18,000 units expected to be shipped in 2018, according to new data from industry watcher IHS Markit. The analyst firm had previously forecast shipments of around 85,000 8K units for this year. However, it says that a lack of native video content for the high-resolution standard means that consumers simply aren’t showing much interest in the technology at this stage. Still, the industry watcher remains confident that the mood will change, and says it's standing by a prediction it made last month that 430,000 8K TVs will be shipped in 2019. However, that forecast was far below an earlier prediction it made last April that 905,000 units would be shipped in 2019. 8K TVs are all set to become the next-generation of display technology, offering four times the resolution of today’s 4K television sets. But with the lack of native 8K content available to watch on them it’s no surprise that many consumers don’t see the point in buying such a high resolution display at this time. There is still some interest, but IHS Markit says that many enthusiasts are waiting for “more improved” models to arrive in the shops before they buy. However, the lack of interest in 8K won't last forever, the Korea Herald reported. 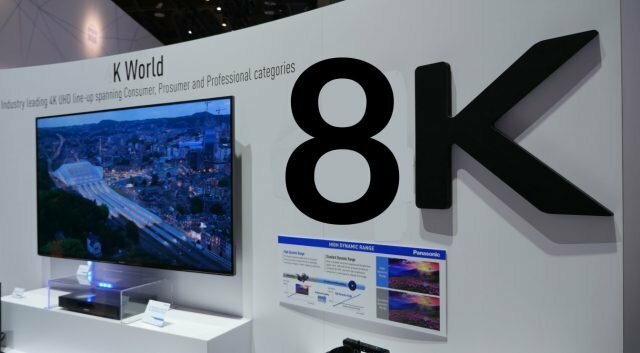 It points out that 8K is still in its infancy, and that of the big brand TV manufacturers, only Samsung and Sharp have actually shipped 8K models so far. As such, some industry watchers believe the 8K segment will grow rapidly once consumer awareness gathers pace. That awareness could come soon, as some broadcasters are already making moves to address the lack of native 8K content. For example, the Japanese broadcaster NHK recently announced plans to launch an 8K satellite channel that will deliver 12 hours of content a day. IHS Markit seems to share that view in the long term, and predicts 8K TV shipments will hit 1.9 million units by 2020, before topping 5.4 million by 2022.